It doesn’t snow in Vancouver very often but when it does panic typically ensues on streets and sidewalks. 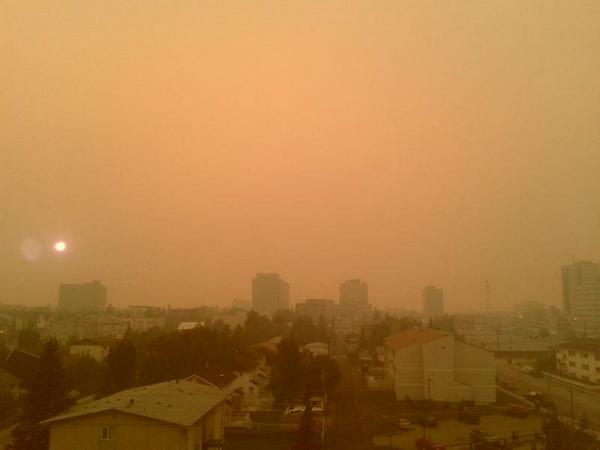 About 7 cm fell at Vancouver International Airport yesterday with higher amounts reported to the north and east. Snow also fell on Vancouver Island with only 3 cm in Victoria but at least 20 cm in Nanaimo. Parts of the British Columbia interior picked up more than 30 cm. The latest Nor’easter moved up the U.S. Eastern Seaboard with lots of energy as it headed for the Maritimes. 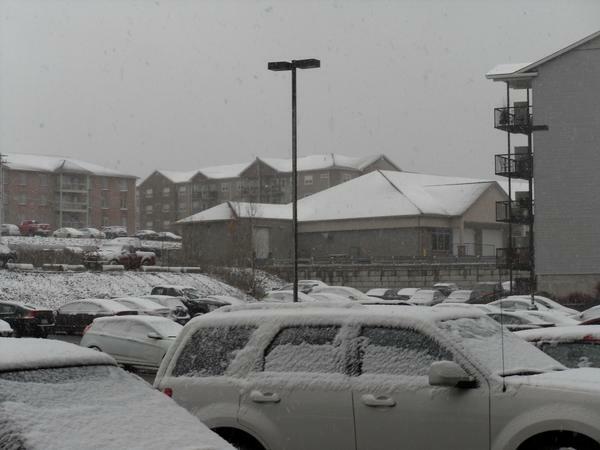 The winter storm brought heavy snow and strong northeast winds to the region. 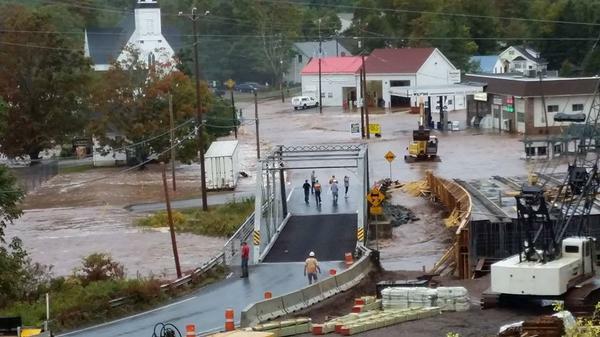 Nor’easter brings rain, wind and snow to N.B. At the height of the Nor’easter, the rain/snow line across New Brunswick stretched from Charlotte County to Grand Lake to Miramichi. Greater Moncton received steady rain this weekend with 52 mm reported as of 5pm AST while snow and ice pellets fell in Fredericton and up to 30 cm snow expected for western and northern New Brunswick. Thousands across the province lost power during the storm due to strong, gusty winds and heavy snow bringing down tree branches. The same storm also brought early season snow to the Eastern United States mostly in the Appalachian Mountains from South Carolina to Maine. A strong Atlantic storm which moved across the Maritimes yesterday hit Nova Scotia the hardest with hurricane-force winds and heavy rain causing localized flooding. In Great Village near Truro, a river spilled its banks after 50 mm of rain fell in just a few hours flooding homes and businesses. 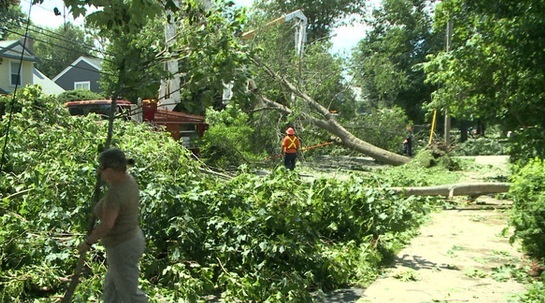 Many trees and branches came down on Cape Breton Island after winds exceeded 120 km/h. 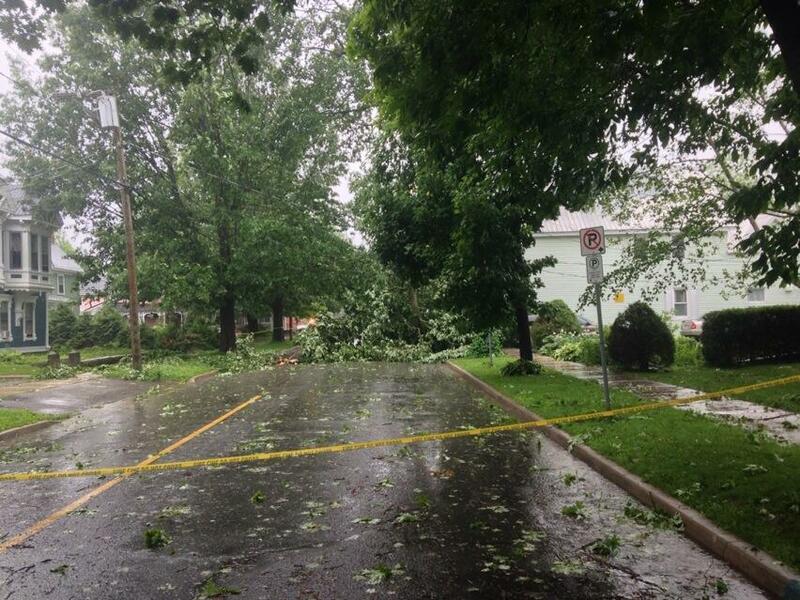 Greater Moncton felt the storm too with almost 40 mm of rain and a peak wind gust of 63 km/h. The good news is the polar vortex is starting to retreat northward which means January temperatures are returning to more seasonal values across much of Canada and the United States. The coldest weather in two decades enveloped much of the continent this week. 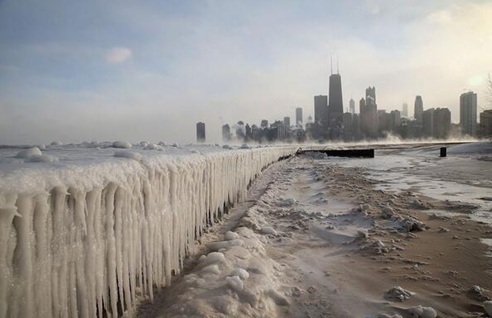 Major cities such as Chicago set new record lows when the temperature overnight dropped to -27°C and the daytime high only reached -19°C. The lowest reading in the mainland U.S. was reported at International Falls, Minnesota, where the thermometer fell to -42°C.